Stubborn, stuck pedals got you down after 'cross season has come to an end? 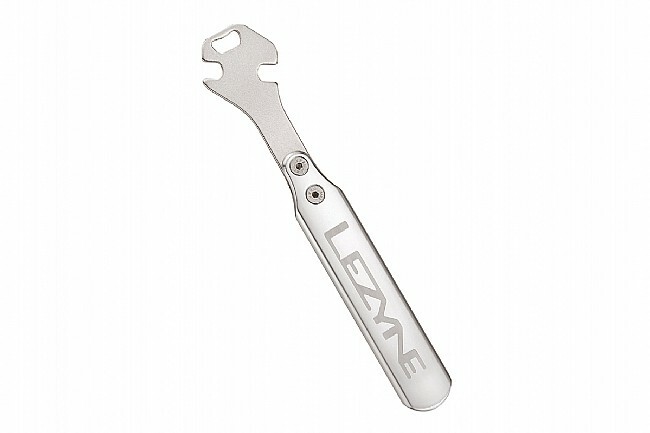 Make short work of stripping those pedals off your bike with this shop-quality pedal wrench. Featuring a CNC-machined aluminum handle with chromoly head, this heavy-duty wrench is built to last. The forged head features dual 15mm offset wrench openings, positioned to provide optimal leverage. And with the integrated bottle opener, you can treat yourself to a delicious beverage at the end of the job without putting the tools down.